4D Hockey offers personal pilates instructions to athletes like no other hockey training company in the area. 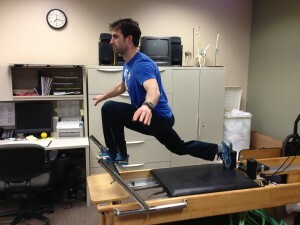 Practicing pilates has several benefits and we have designed specific training just for hockey players. The benefits of Pilates for hockey players include injury prevention, improved athletic performance, core strength and stability, balance and coordination, mind-body awareness, focus, strength and power.